At the end of the 2012/13 season this blog and the Tranmere Rover’s match day programme produced an article about players who had been involved in the First World War. The article stated that Thomas NcNaught was the only person to have played for Rovers and to be killed in the War. But as the article stated it was not conclusive he was the only one as further research was required. 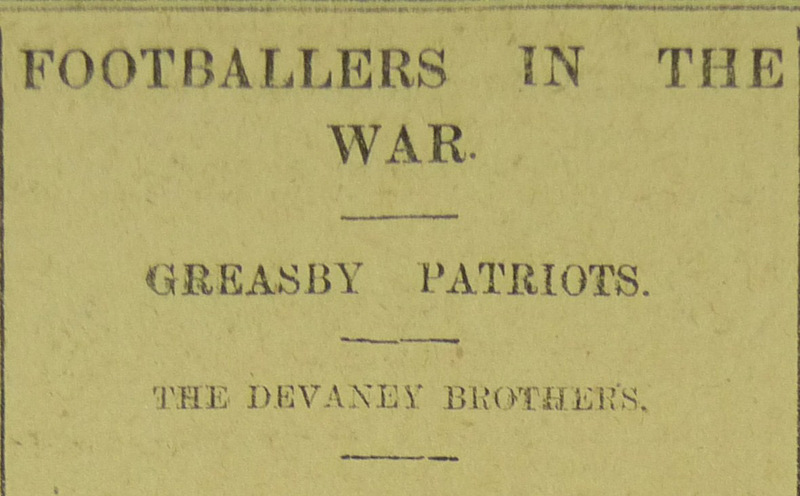 Whilst researching the Aintree Munitions Girls in 1917 I happened upon a small article by one of three brothers, James Devaney (who played for Hoylake FC), from Greasby who were all in the service at some point during the war. Sadly one of the brothers had been killed the previous year, George Devaney. Before the war George had been a keen sports man and before joining the army was goalkeeper for Tranmere Rovers. George has been describe as one of the best-known all round sportsman from the Wirral and he played for several local teams including, Gilbrook Mission and Hoylake. He moved from Hoylake FC to Wrexham and made 195 appearances for the Welsh side at the Racecourse. After winning a Welsh Cup medal without conceding a single goal he was transferred to Tranmere in 1911. George always believed in keeping fit which probably gave him the skills to be almost unbeatable in front of the Rover’s goal. His natural abilities made him an instant hit at Prenton Park and the future for George looked bright. Sadly like so many of his generation the War cruelly took his life before he was able to show his full potential. Sapper George Devaney had been serving with the Cheshire Field Company Royal Engineers and after only a few weeks of frontline service was killed on the 4th November in France during the Somme Offensive. The article by George’s brother James spoke of how Football had given him and several of his footballing friends the edge in fighting the war. Three of James friends had connections at Prenton Park with one being Joe Mercer whose war record is discussed in an earlier article. Harold Lees made two appearances for Tranmere in the 1911-12 season and played for several other clubs before finishing his career at Hoylake FC. It is not known whether he survive the war but this true gentleman does not appear to have been involved in sport after the war. The third friend was Billy Fenner who has a long history with Tranmere Rovers Football Club. He was given his first trial for Rovers in 1908 against Middlewich in a game which Tranmere won 4-1. Unfortunately he was not signed as he appeared to have weak tackles which was a problem for a full back. Billy went on though to play for Wrexham where he blossomed as a footballer and he won the Welsh Cup. His success attracted Football League interest and he was soon signed to Bury who were playing in the First Division at the time. In all he made 57 appearances for Bury over three seasons before rejoining Wrexham. 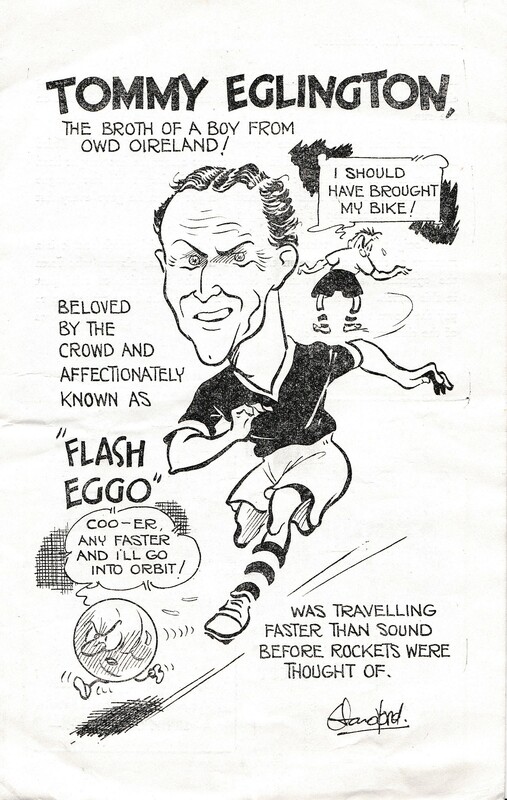 However with travel becoming so difficult during the early stages of the war Billy joined Tranmere Rovers. 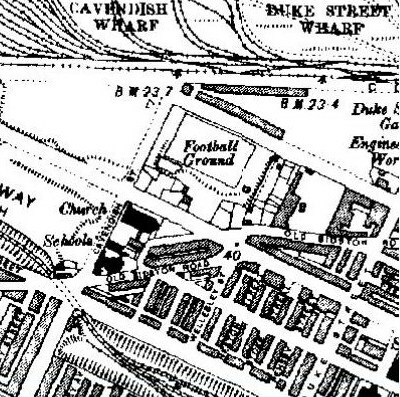 He moved to Rock Ferry and eventually signed up to the Liverpool ‘Pals’ regiment in 1915. Billy was injured in the army which kept him out of the game for two seasons at Rovers. Trying to get back into the team he appeared in a public trial match in 1921 but he had lost his edge due to his injury and was not resigned by Rovers. The article in the Birkenhead Advertiser gave us a glimpse of some of the names and lives that were touched by the First World War. The Author James Devaney talked of football giving him and others the edge to be better soldiers. Unfortunately Lance Corporal James Devaney of the Royal Engineers was killed in action on the 30th October 1918 just twelve days before the Armistice was signed.